Did you know that Halloween originated in Scotland? It's connected with the historic customs that relate to the Celtic festival of Samhain, which marked the end of summer and harvest and the beginning of the dark and cold winters. The festival symbolised the boundary between the living and the dead. So for many centuries, the Celts, and modern day Scots, set large bonfires to ward-off the ghosts and spirits. Bonfires are now predominatly saved for Guy Fawkes Night just a few nights later but all those pumpkin lanterns now do the same job (and in some parts of Scotland folks are still partial to a carved neep - turnip). Until recent years, children went guising (disguised in costumes) pretending to be evil spirits in hopes they would blend in with the spirits wandering that night. Children received a treat for warding off evil of the houses they visited. This has been replaced by the slightly americanised trick-or-treating (they still called it guising in my day) where children perform a little party trick in exchange for a treat. Dookin for apples is a Halloween party game that all Scots bairns have played which stems from the Celts who held apples as a sacred symbol. It's amazing to think how traditions have developed and changed over time. 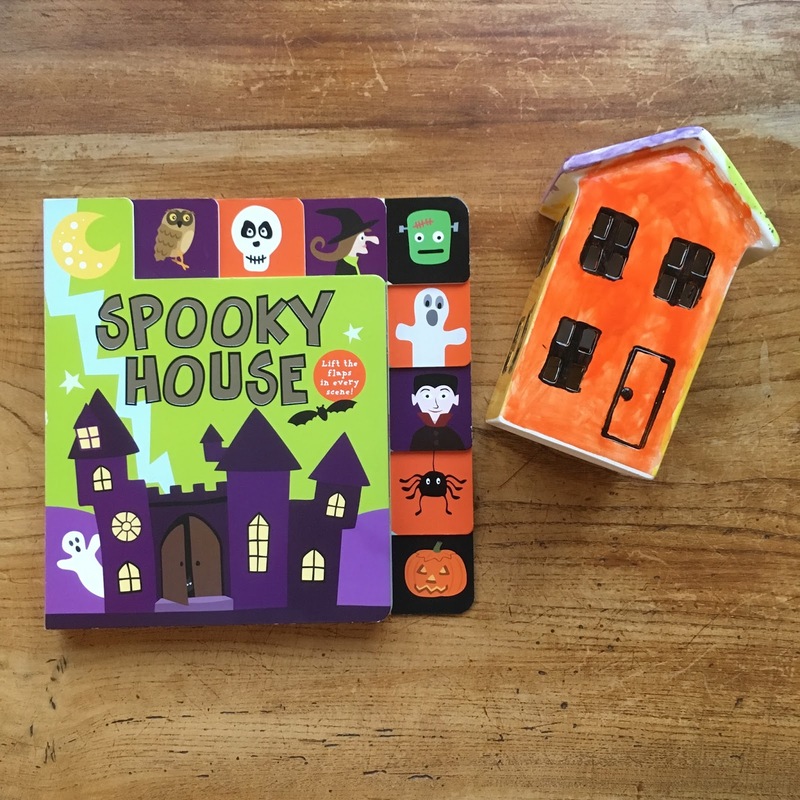 But it sounds a lots more fun these days and a lot less scary as we worry less about evil spirits roaming the streets and are more likely to see a variety of vampires, Frankensteins, ghosts, witches and a variety of superheroes and princesses at our door. 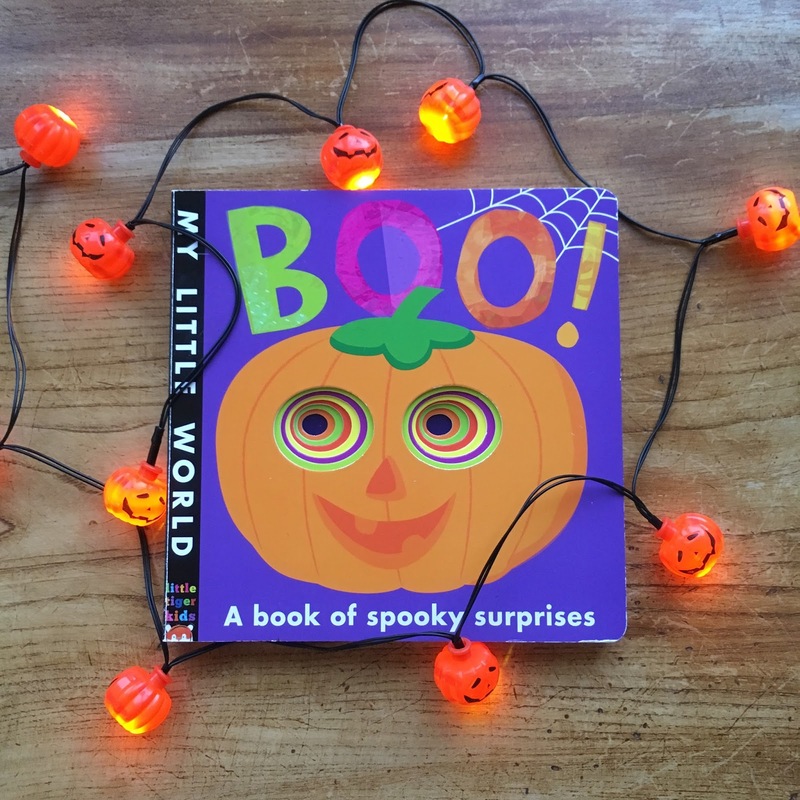 This is a brilliant selection of all things Halloween: perfect for introducing little ones to the idea of Halloween and this spooky season. It's a great vocabulary-builder and even this year BookBairn has enjoyed spotting things and recognising them. The illustrations are less scary and more adorable: cute monsters, silly zombies and smiling bats. Perfectly-pitched to avoid spooking toddlers but still in the spirit of Halloween. There's even a spirit or two in there! 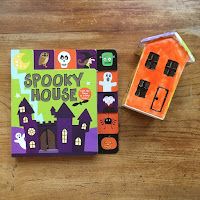 You can check out a little preview video over on our previous post 'Spook-Bairn's Halloween Reads'. 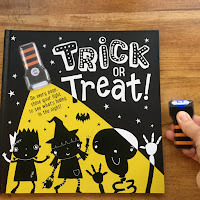 This is such a fun little book about a cast of Halloween characters who are spooked by a resonating "boo" on each page. BookBairn loves turning the pages using the die-cut holes and, this year as she's a little older, she loves holding the book up and peeking through. It's got a great cast of spooky characters that are not in the least bit scary! Just great fun. And "full of spooky surprises!" Perfect for the littlest readers in your house. This book genuinely gave me a fright today. I turned off the light for bedtime and there was this strange glowing from the bookshelf. I forgot this one glows in the dark! A superb counting book, with excellent rhymes, an an eclectic array of scenes, this is a firm favourite. It also has cut-outs on each page and the corresponding numeral hidden in the illustration which BookBairn now enjoys finding. But mostly I love this one because I think the skeletons are adorable. They are so sweet. And they get up to some great fun! If you're looking for a super-spooky-fright(!!) 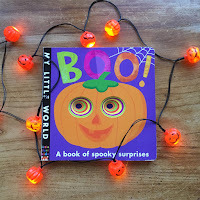 you could have a sneak peek on our old post 'Halloween Hijinks' (with baby BookBairn). Do your kids adore a lift-the-flap book as much as BookBairn? This one has loads of flaps on every page, and spooky things hidden under each one. The illustrations in the book are spine-chillingly and hair-raisingly delightful! Whilst all of the characters are typical Halloween ghouls, they are more enchanting than bewitching! The characters are delightfully named, such as Skelly Bob, Willa the witch, Bogey Monster adding to the captivating magic of the book. There is not much of a story to the book, we simply journey through each room of the house to the party finale; however, each page treats you to a lovely rhyming couplet about the characters featured. It's 'Spook-tacular'! This is a new addition to our Halloween Shelf and it is defintely a firm favourite. 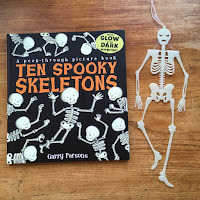 I'll be surprised if BookBairn lets me hide it away for a whole year when I pack the Halloween books away. 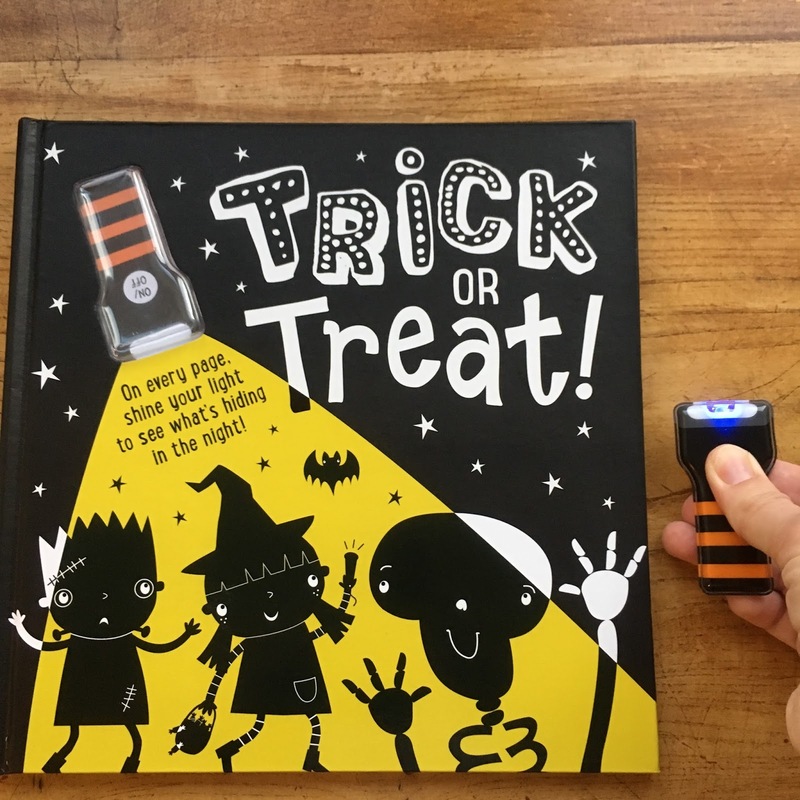 Complete with a torch so children can join in, you go on a Halloween trick-or-treating (guising!!!) adventure with two children and discover the ghouls behind each door. But don't be frightened you can reveal what's hiding underneath the costumes with your clever torch. I need more books like this. It is just magic. I did a review a couple of weeks ago on this one and we have been reading it over and over since. 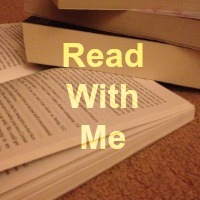 I hope you enjoyed reading about some of our favourite spooky books. And have a brilliant Halloween whether you go guising or trick-or-treating (or hide in the dark hoping no-one frightening comes to call). I like the fact that these books seem to be full of happy non-scary monsters. I’m really looking forward to seeing BookGhost and having a happy Halloween. PS - I don’t know what the Wee Page Turner is dressing up as but I’m sure it’ll be fun. PPS - I’m going to dress up as an old Papa. Haha! He's going to be Harry Potter or a Mummy - take your pick! Our wee ghostie will be adorable! It's been a long time since you were excited about trick or treaters! It's going to be such fun! What a lovely selection of books and I enjoyed reading about the history of Halloween. I had no idea it was a Scottish festival originally. 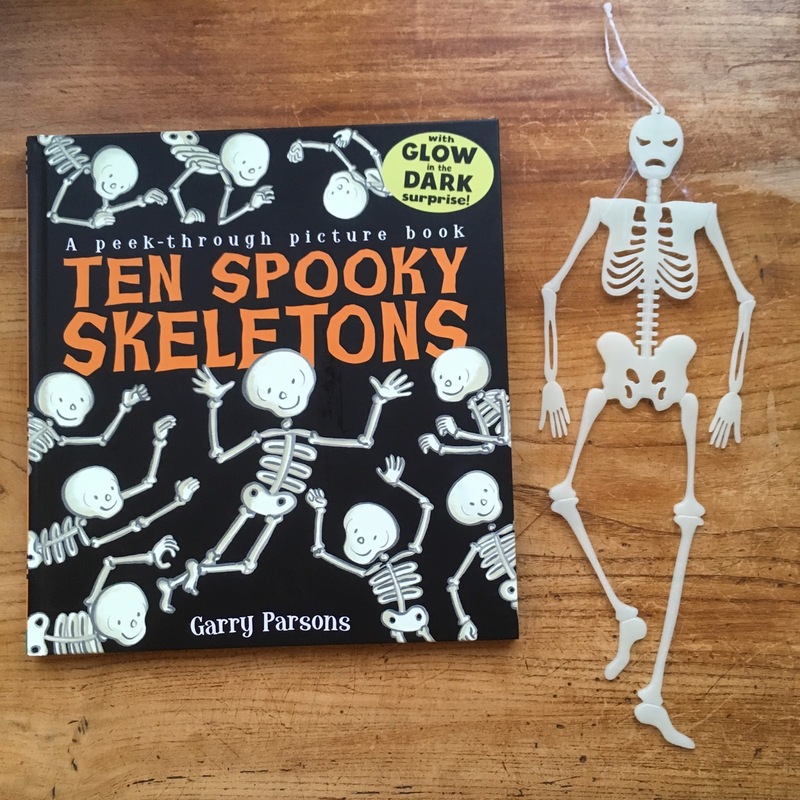 We love Ten Spooky Skeletons but our favourite Halloween story is definitely Funnybones!